This first volume of the new series International Bonhoeffer Interpretations (IBI) contains several impulses for translating Bonhoeffer’s key ideas on Religion, Religionlessness and the Church into current contexts. These impulses vary from prospects for a Christian university looking at Bonhoeffer’s distinction between the ‘ultimate and the penultimate things’ to an ethical understanding of Bonhoeffer’s ‘as-if-theology’ in the light of Luther’s distinction between law and gospel; from a fresh perspective on Bonhoeffer’s religionless Christianity in the light of his thought on ‘oikumene’ to a Christological re-interpretation of repentance as the contribution of religionless Christianity to the task of the Church in the United States of America. 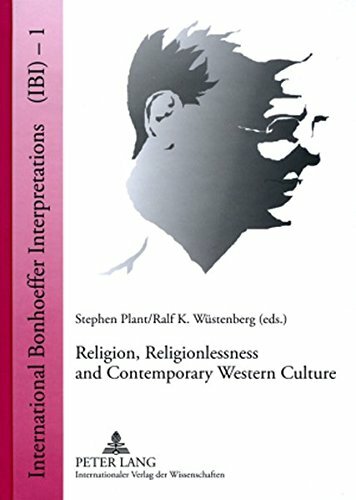 The impulses are framed by programmatic contributions suggesting a framework for reading Bonhoeffer in the 21st century in his hermeneutic exploration of Bonhoeffer’s theology and the crises of Western culture, and analyzing ‘religionless Christianity’ in a complexly religious and secular world.